Seems like you stumblers are pooring in by the dozen! Anyway, the new Xbox Live Update came out today. This update gives a list of things like a new marketplace style, and the marketplace now includes a Xbox Originals area where you can download games for the original Xbox using Microsoft Points. Games up there right now include Halo, Fable, and others. Other stuff that came with the update were DivX support(Quality is almost perfect), the Inside Xbox feature, and they fixed the aging problem. Also, you can now access messenger if your under aged by going into system settings. Expect a lack of good posts unless something happens. My 360s dead and this is day one. Check back for updates to this thread. September 27-The box better get here tomorrow, or I might have to wait till Monday or even Tuesday to get my coffin. Ugh. September 29-My copy of PGR3 gets here. I’ll use it to keep me occupied by playing it on a toaster. 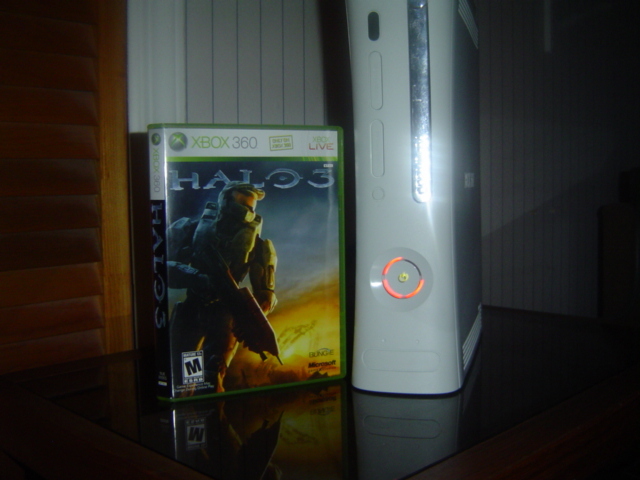 October 3-Box Arrives for the 360. October 4-Box is sent to Microsoft, The long wait begins. One picture to sum up a million nasty things i want to say to Microsoft right now. Thanks for my 400$ paperweights.